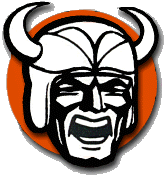 NORTH CANTON Hoover Viking football fans came to Memorial Stadium on Friday night wondering if their team was for real following last week’s statement victory over Perry. Hoover showed it is a league and playoff contender after quarterback Connor Ashby went off again, throwing three touchdown passes in the first half, and the defense was dominant in a 41-10 win over Lake that raised the Vikings record to 5-2 overall and 3-1 in Federal League play. Ashby didn’t have much to do with Hoover’s 52-21 win over Lake a year ago as a freshman, though he ran 43 yards for a score on his only carry. The sophomore did plenty this time. Ashby led the offense on scoring drives of 67, 45, 26 and 63 yards to start the game. He found receivers Trent Graham and David Forrest when he needed big plays — Graham with TD catches of 22 and 21 yards and Forrest for an 18-yarder — and was 9-for-10 passing in building a 27-10 halftime lead. When necessary he took off and ran, picking up 13 yards for a first down yards as his offensive line, known as ‘The Nickle,’ controlled the Blue Streaks’ defensive front throughout. “He’s something,” said the 6-5, 195-pound Graham, who caught six passes for 116 yards and had a third TD called back. “He’s only a sophomore, putting up those big numbers. I look at FridayNightOhio and he’s at the top. Ashby completed 15-of-18 passes for 213 yards and four TDs for the game. He was far from a one-man team. Hoover running back Adm Griguolo took advantage of his big line, too. The senior gained 96 yards on 17 carries, broke off a 45-yard run to set up a touchdown and scored from the 1 in the first quarter and the 10 in the fourth. Although Ashby fumbled a handoff to Girguolo that led to a Lake score two seconds before halftime, Hoover head coach Brian Baum was very pleased with his team’s overall performance coming off the 35-21 Perry win. “We talked about not getting too high or too low during the course of the season,” Baum said. “Last week was a real high. To come back and play another physical team, I was worried about that this week. But I thought we overcame their physicality. It was important to see us do that. Hoover did it by getting a three-and-out on Lake’s first possession. It needed just nine plays and two third-down conversions to score. Ashby threw to Graham for the 22-yard TD, but it was his screen toss for 11 yards to Griguolo on third-and-6 on the play before the score that got the six points. Lake went three-and-out on its next two series and Hoover made it pay both times. The Vikings needed eight plays to go 45 yards on a short field the first score, Griguolo’s 2-yard run the capper. Vikings linebacker JR Ruppert buried Lake quarterback Paul Troyer at the 1 for a 17-yard sack, giving Hoover possession at the Streaks’ 26. Ashby ran for 5 yards on first down then hit Graham on a fade in the end zone on the first play of the second quarter to make it 21-0. Coming off a 55-35 loss to McKinley, Lake head coach Dan DeGeorge was looking for his defense to get going. Against Hoover’s line, Ashby’s arm and Griguolo’s feet, Lake (3-4, 0-3) was on its heels from the get-go. Troyer clicked with wide receiver Tye Hunt early and often, six times in the half and nine overall, but for only 65 yards as Hoover’s defense was in his face for much of the game. Sam Bird and Gabe Vega intercepted passes for Hoover.